Ten years ago, shortly after his move from California to London, Zak Kyes was recruited as the first-ever Art Director of the Architectural Association. This appointment marked the beginning of a decade-long working relationship; taking the helm of the AA’s in-house Print Studio and publishing arm, he recruited fellow designers Wayne Daly and Claire McManus, and in 2008 also co-founded the Bedford Press, a new imprint aiming to build upon the rich history of publishing at the institution. Kyes and his team treated the AA as something of a laboratory, testing the ways in which its graphic output could play an integral role within the school, whilst also disseminating the work of the AA and fostering collaborative attitudes. One such exercise, the landmark exhibition Forms of Inquiry: The Architecture of Critical Design—curated by Kyes in 2007—examined the relationship between graphic design and architecture through commissioned contributions by nineteen designers. The touring exhibition and its accompanying publication made a significant contribution to the dialogue between the two disciplines, and demonstrated a thought-provoking curatorial approach to the exhibition of graphic design. Sarah Herda: For the past decade you have held the position of Art Director for the Architectural Association; I would like to discuss some aspects of the last ten years with you. Increasingly it seems less common, if not totally unheard of, for an institution like the AA—an architecture school—to have an art director. Though not entirely the same scenario, your time at the AA reminds me of figures like Muriel Cooper and the transformative time she spent as the art director of MIT Press. You are certainly leaving the AA having established a lasting impact on the organisation's visual communications. Zak Kyes: Ten years ago I did not know what an art director was. When I started at the AA (Architectural Association School of Architecture) I assumed that the medium was only paper—but what I learned is that the medium can be everything around us. The medium of design is the world, and that gives designers the potential to co-produce reality. Muriel Cooper understood this long before others. 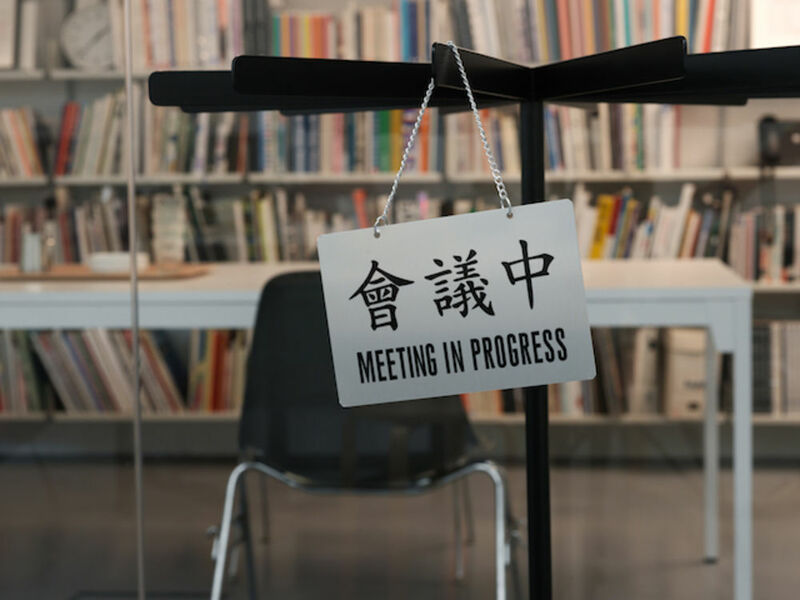 Her work at MIT Press and Visible Language Workshop showed that graphic designers can play an essential role in producing culture and processing the world around them. Looking back at a decade of art directing the AA, we sought for new ways to integrate design into the intellectual and academic life of the school. Through publishing, writing, editing, teaching, curating and organising events we advocated for design as a way to give shape to ideas about culture and architecture. 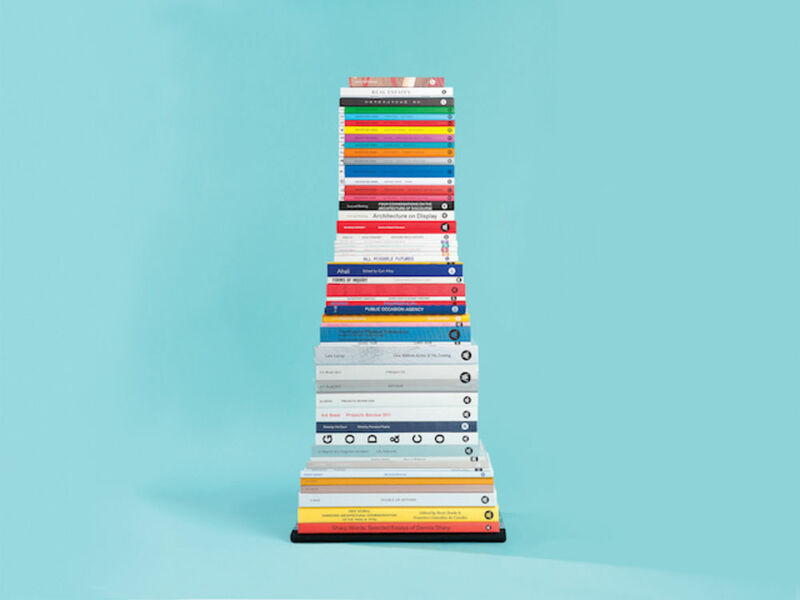 At the AA this resulted in the art direction of over 120 books—the culmination being Cedric Price Works—and the publication of forty-six titles with the independent publishing imprint Bedford Press. Teaching provided an avenue to research the AA’s rich history of student-initiated publications. This work in turn led to a resurgence of student publications. As the Art Director I was able to engage with the exhibition programme, and initiate and co-produce exhibitions such as Forms of Inquiry: The Architecture of Critical Graphic Design (2007-09), Exhibition Prosthetics with artist Joseph Grigely (2010) and OMA Book Machine (2010), to name a few. All of this created an identity for the AA. What is important to understand is that the AA has been primarily understood through the graphic space they produce. SH: How did you start working with the AA? Were you the institution’s first Art Director? Was there another moment in the AA’s history that inspired you and the design direction you developed? ZK: I was brought in by the AA’s recently appointed director, Brett Steele, shortly after moving to London. I was 23 at the time and was put in the position of being the institution’s first Art Director. I quickly learned that the less specific an opportunity is, the greater the possibilities it offers. Over the last ten years I was able to iteratively shape the role through one project after another—rather than through a master-plan of what design should ‘do’. Much of this comes down to Brett’s vision and an attitude of trying stuff and seeing how it works out. I was given the freedom to build my own team, for which I brought in the two talented designers Wayne Daly and Claire McManus, and the support and encouragement to teach and continue to run my own office. I started a year after Brett was appointed director and left a few months prior to to him being named dean of the UCLA School of the Arts and Architecture. It’s been a great run. In the past there had been figures such as Dennis Crompton of Archigram, who began a tradition of publishing experimental architects and artists. My remit expanded upon this history to include the identity of the school—and the various ways in which this is manifested. The AA has a rich history going back to 1847, when it was infamously founded by a so-called “pack of troublesome students” in an act of resistance against the conventions of architectural training. SH: What first attracted you to graphic design and why did you establish your practice in London? ZK: Growing up in California, I was introduced to the work of Herbert Bayer through family friends who settled in Santa Barbara the same year as Herbert and his wife Joella. In high-school, I remember sneaking into a local property to see one of his sculptures. The expansiveness of his practice, which combined graphic and industrial design, sculpture and painting, motivated me to make my own experiments. When I moved to London in 2005 it was after graduating from CalArts, after briefly studying art history in upstate New York. At the time it was impossible to imagine working independently in the cultural field in Los Angeles. This is one of the main reasons I decided to move to Europe. By virtue of having a dual citizenship, being Swiss and American, I was able to establish my practice in London and a year later I began working with the AA. SH: Looking back, ten years ago, what was your first order of business at the AA? Did you start with immediate changes you wanted to focus on? ZK: From the beginning it was clear that the school’s identity needed to be re-articulated. I was interested in considering identity beyond the school’s logo and instead through the institution's various histories and the reality that it produces. It was my belief that the identity could not be considered separately from publications, exhibitions and public programmes which all became constituent parts of the school’s identity. SH: The publication programme is a place where I think the AA really pushed a graphic design agenda, as seen in such extraordinary projects as the David Greene book L.A.W.U.N Project #19 (2008). The consistency and authority of the AA files on one hand has been matched with experimentation explored in singular publication projects. Which leads me to the Bedford Press, which you founded during your tenure at the AA. How did Bedford come about and how did its mission differ from other AA publications? 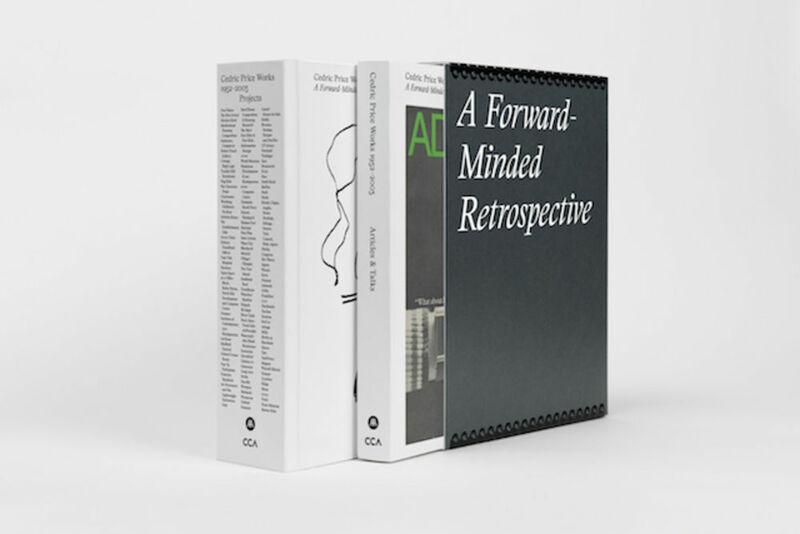 ZK: The time I spent at the AA was bookended by two very different architecture books, starting with L.A.W.U.N Project #19 by David Greene and ending with Cedric Price Works 1952–2003: A Forward-Minded Retrospective (2017) which you know well as the Graham Foundation supported it. Along the way Wayne Daly and I initiated Bedford Press, which emerged from a publishing class that I taught at the AA. With participants of the class we researched student initiated publications which lacked any authority and celebrated their wild inconsistency. A handful of students that came out of the class later went on to make great publications of their own, such as Scrap Marshall and Jan Nauta who started the collective Public Occasion Agency. Bedford Press soon went from an ad-hoc side project to an imprint of AA Publications which was formalised in 2008. 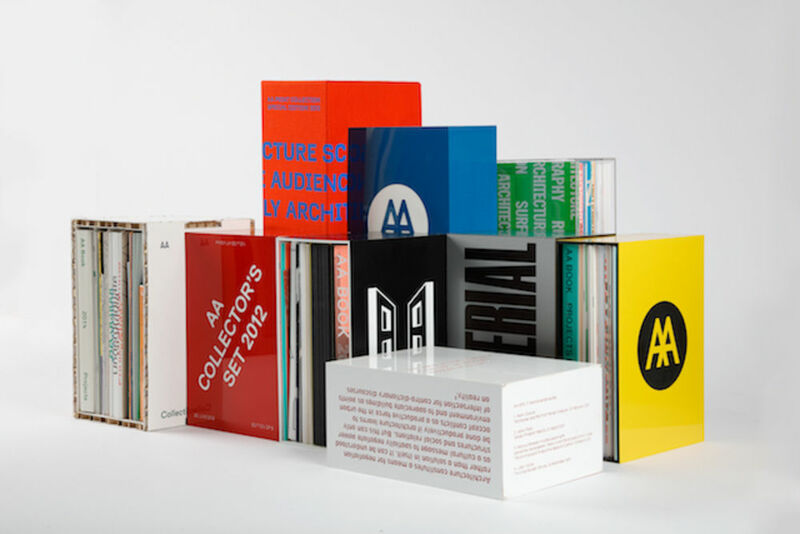 What set us apart from AA Publications was our focus on the form of the book as a way to co-produce culture and the cross-over subject matter of architecture, visual art, graphic design and theory. Bedford Press was always thought of as a project designed to last as long as it was relevant. Having accomplished what we set out to achieve we decided to conclude Bedford Press in October 2016. SH: A fascinating project that you organised in 2007 was Forms of Inquiry: The Architecture of Critical Graphic Design, which resulted in a an exhibition and publication originated and co-edited with Mark Owens at the AA. How did being at an institution dedicated to architecture influence your practice, and the ways you think about the discipline of design? ZK: Forms of Inquiry was a laboratory-like project that considered the ways in which graphic design could be connected up with other disciplines—in this case architecture—and serve as a platform for research. The exhibition was presented in several venues across Europe during 2006-08. In each venue it expanded with new contributions, lectures, workshops and screenings. In the subsequent years the exhibition has been referenced—often to the surprise of co-editor Mark Owens and myself—as an important example of the possibilities of an expanded studio practice and the potential of design-thinking. Forms of Inquiry was a “swimming lesson” for me. SH: Your last project at the AA was the Cedric Price monograph edited by Samantha Hardingham, which received a Graham Foundation grant in 2012. Can you talk about what it has been like to work on this project for the past four years? ZK: Cedric Price Works 1952–2003: A Forward-Minded Retrospective is a monumental two-volume monograph that brings together for the first time the pioneering projects, articles and talks of the British architect Cedric Price. Designed with Wayne Daly at the AA Print Studio, Cedric Price Works weighs 6.6kg, contains 1,400 pages, and over 900 drawings, photographs and images. We worked closely with the editor Samantha Hardingham, family members from the Cedric Price Estate and the two co-publishers: the AA, where Cedric Price studied and taught, and the Canadian Centre for Architecture which owns the archive. The monograph is divided into two volumes contained within the kind of metal-edged archival case used in the office of Cedric Price Architects. Each volume uses material and production techniques that reflect the content within. 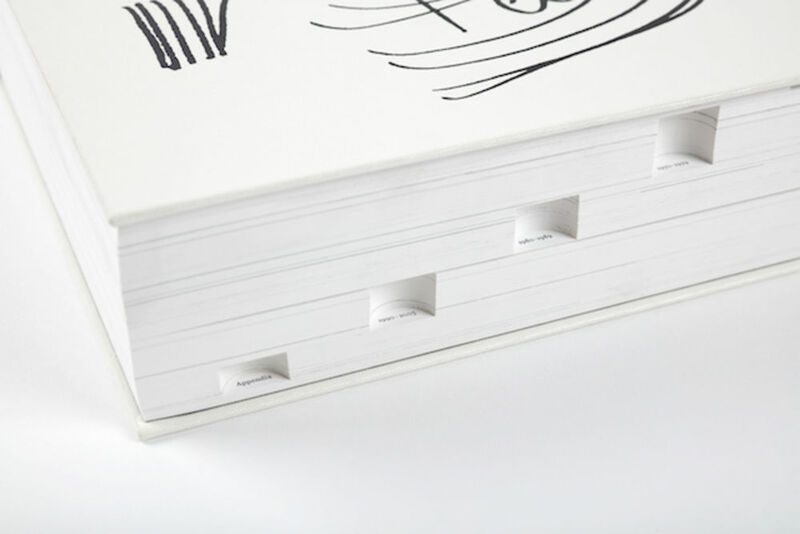 The Projects volume is divided into decades by thumb index—a series of notches cut along the edge of the book. 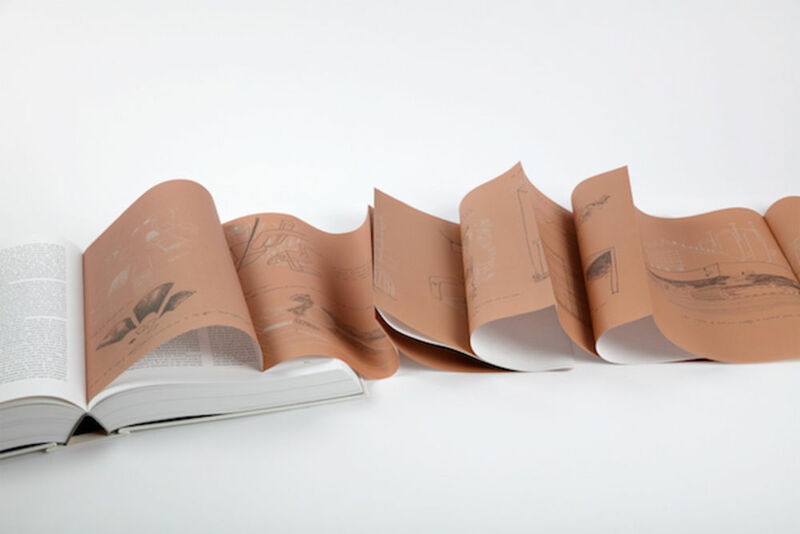 The volume includes a two and half metre-long leporello reproduction of Price’s 1965 City of the Future drawing. The estate was very engaged with the design process, caring deeply about creating something that—above all else—Cedric would have approved of. That was very much in our mind. While the result is a historical document, it is also animated by Cedric’s personality and even some of his stamps. Though I never met Cedric, I felt that I go to know him through the process of making the book and working with the family. On the evening of the launch, Eleanor Bron gave me one of Cedric’s black and white checkered plaid shirts. SH: During your tenure at the AA, your studio Zak Group has worked on many institutional identity projects. I can only imagine being imbedded in the AA for the last ten years has given you particular insight into the role graphic design plays in the life of an institution. Has your time at the AA changed how you think about graphic identities? ZK: The experience at the AA gave me an opportunity to work and think beyond the conventional client/designer relationship. It also gave me an understanding of institutions from the inside and out—which are complex, unstable entities that need to grow and evolve. At Zak Group this has lead us to develop an approach that allows for growth by not over-planning. When we are invited to conceive of new graphic identities, we work with similarly collaborative teams within institutions to give shape to their programmes. The experience of art directing a school and a publishing company taught us not to conceive of identity separately from digital, publishing or exhibition design, but on a continuum of giving shape. SH: Zak Group has grown tremendously in the past several years. As you look towards the future, can you speak about forthcoming projects? ZK: Last year was actually our tenth anniversary. We commissioned Dyvik Kahlen Architects to design a new office for us by renovating a shopfront in Islington, which gave us the opportunity to think about our own culture as an office. We are looking forward to an exciting 2017 in our new home. This year will mark the completion of M+ Digital, a new online curatorial platform that we are designing/developing for the museum M+ in Hong Kong. It will also be a biennale year, both for the German Pavilion at the Venice Biennale, which we are working on with artist Anne Imhof, and the second edition of the Chicago Architecture Biennale. We are also looking forward to the 200th anniversary of the Staedelschule in Frankfurt, a radical art school which we are designing a new identity for. This is in addition to some special publication projects—particularly one with our long term collaborator Hans Ulrich Obrist. SH: Finally, was there anything you dreamed of doing during your time at the AA—an unfinished project? ZK: Brett and I have spoken about our unrealised project in recent months. Without out a doubt, it would be to do with digital matter what we did with printed matter. I recently texted the thought to Brett. He pinged me “make it weigh 6.6kg?”. My unrealised project would be to make the AA’s digital space weigh 6.6 kilos. Sarah Herda is Director of the Graham Foundation for Advanced Studies in the Fine Arts. Founded in 1956, the Graham Foundation is the largest foundation in the United States committed to awarding grants to individuals and institutions working at the forefront of architecture. In 2012 the Graham Foundation presented Zak Kyes Working With…, its first ever exhibition of graphic design. The exhibition originated at the GfZK, Leipzig and travelled to the Architectural Association, London and Tensta konsthall, Stockholm. 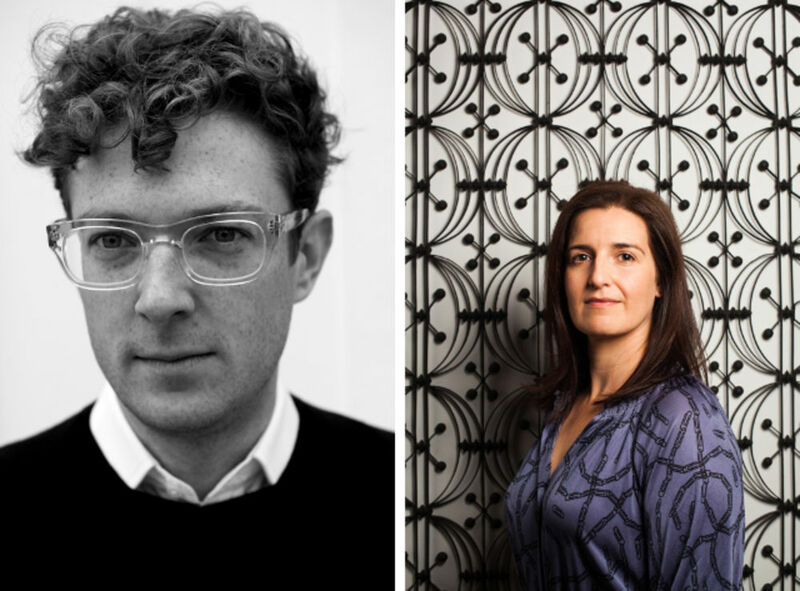 Following this first encounter, Kyes and Herda have collaborated on a number of projects including the identity of the Graham Foundation and the inaugural edition of the Chicago Architecture Biennale, which Herda co-curated in 2015. Zak Kyes is a graphic designer and art director. He co-directs the graphic design office Zak Group in London. From 2006-16, as Art Director of the Architectural Association, Kyes art directed the publishing company AA Publications and the AA Print Studio. At the AA Kyes, oversaw the production of critically acclaimed publications, exhibition and events. He also co-founded Bedford Press, an imprint of AA Publications, and taught a class on publishing at the school (2007–11).